SSHG Necklace and Earrings by Kathryn Andersen. Weave: Stepping Stones. Rings: Brass (gold) WD=1.4mm ID=9.2mm AR=6.6; Brass (black) WD=1.2mm ID=5.6mm AR=4.7; Brass (gold, black) WD=1.2mm ID=3.6mm AR=3. 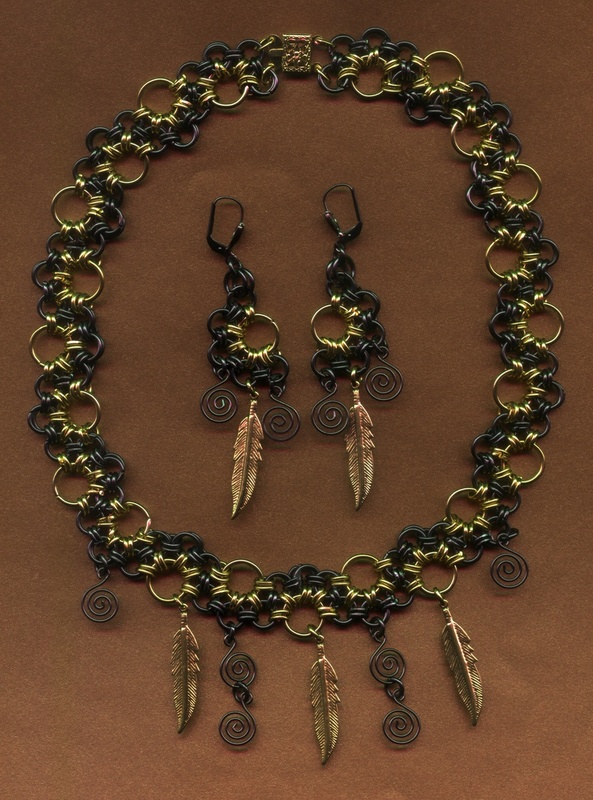 Brass stampings: gold feathers, black spirals.